Prepare for a whole new team to take on the vile underbelly of the Marvel Universe. 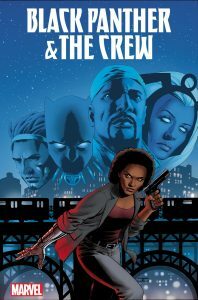 It’s time for BLACK PANTHER & THE CREW – Black Panther, Storm, Luke Cage, Misty Knight and Manifold band together to take on a dangerous wave of threats in this new ongoing series by co-writers Ta-Nehisi Coates (New York Times best-selling author ofBetween the World and Me and Marvel’s Black Panther) and Yona Harvey (Black Panther: World of Wakanda) paired with legendary artist Butch Guice! 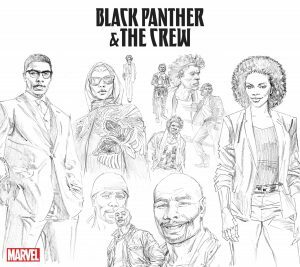 Paired with Coates’ current best-selling and award-winning Black Panther series, the death of a Harlem activist kicks off a mystery that will reveal surprising new secrets about the Marvel Universe’s past and set the stage for a big story in the Marvel Universe’s near future. Fear, hate, and violence loom, but don’t worry, there is a brand new team ready to take on a mystery that may begin in the streets, but plans to encompass a universe. 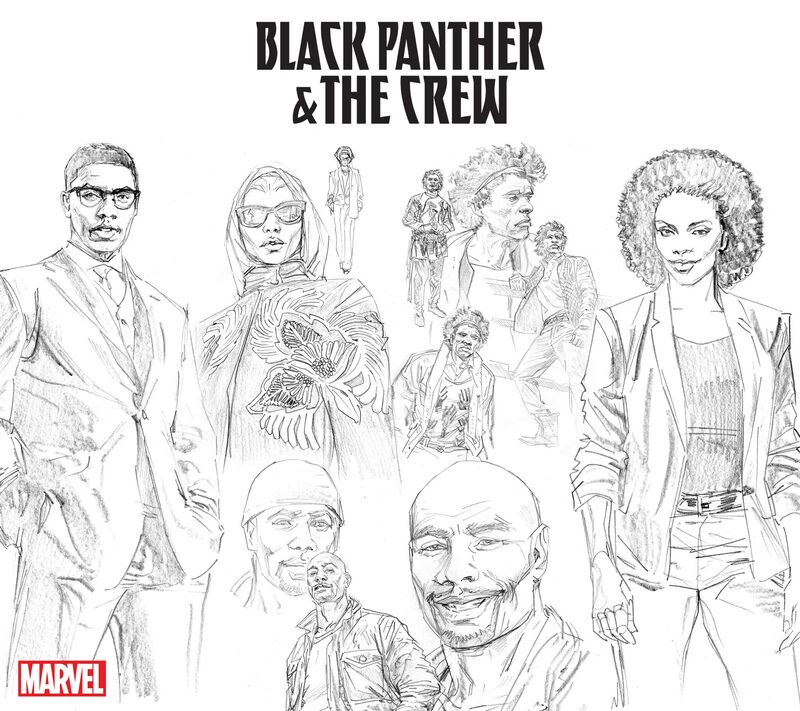 Get ready for BLACK PANTHER & THE CREW arriving in comic shops this April! 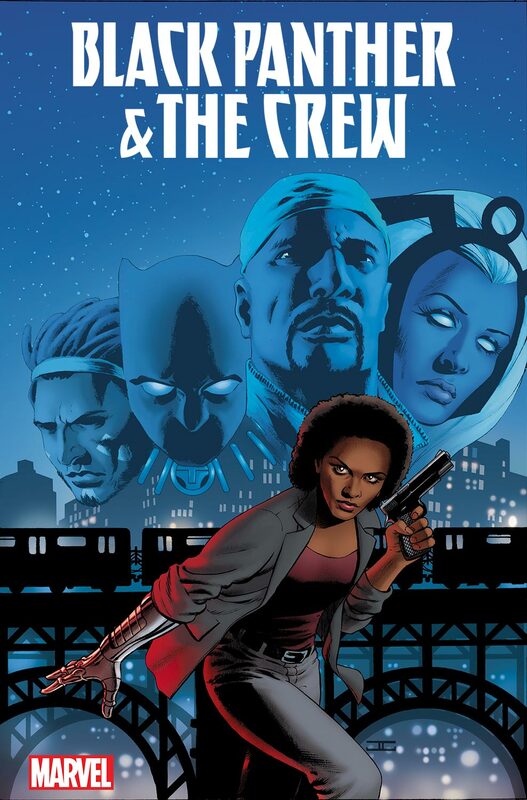 BLACK PANTHER & THE CREW #1: Co-written by TA-NEHISI COATES & YONA HARVEY, Art by BUTCH GUICE & Cover by JOHN CASSADAY. On Sale in April!